Cranberry (Vaccinium macrocarpon) is a low-growing, woody, trailing, perennial vine. Its native range extends in temperate climate zones from the East Coast to the Central U.S. and Canada and from Southern Canada in the north to the Appalachians in the south. Cranberry fruit are often harvested in water, especially on commercial farms. Contrary to popular thought, cranberry vines grow best out of the water and on dry land. 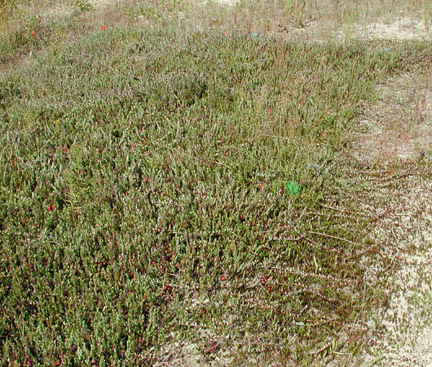 Cranberry vines are good colonizers of open ground; they will produce a thick mat of vegetation. 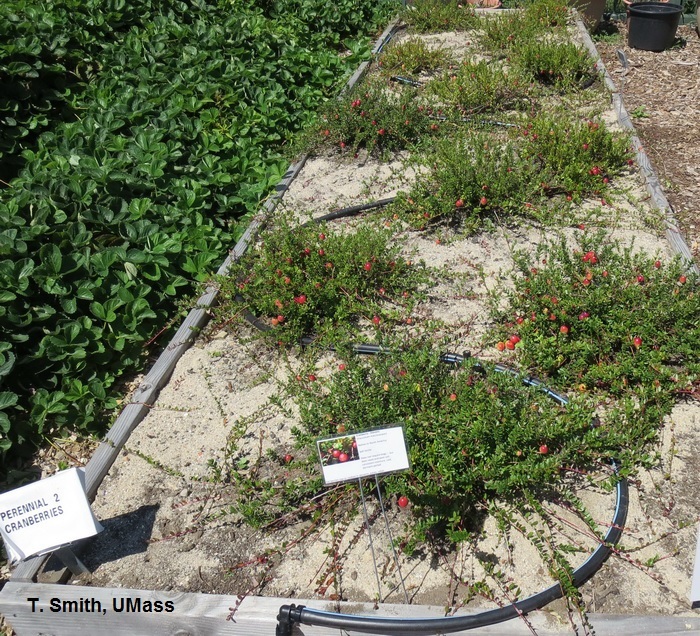 As such, cranberry vines are of occasional interest to homeowners for groundcovers or for ornamental use. In some circumstances, homeowners may want to plant cranberry vines to harvest fruit for their own use. 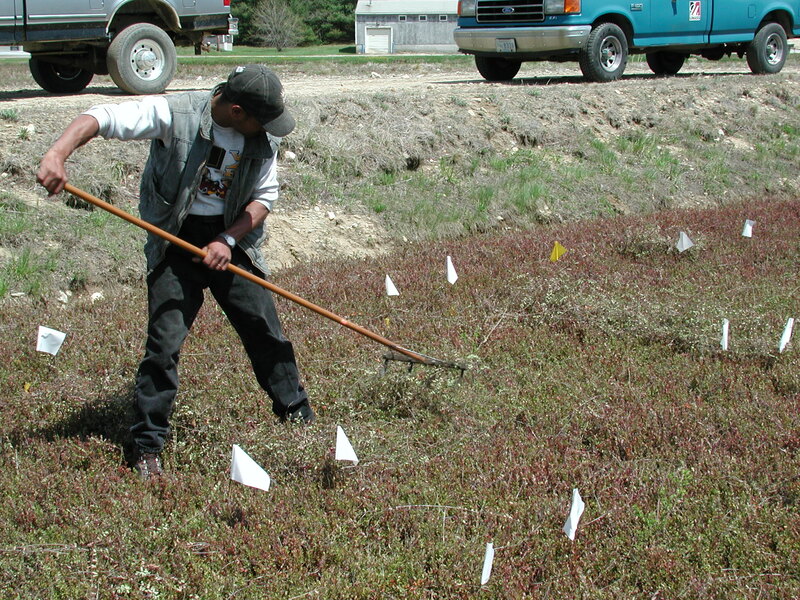 The purpose of this fact sheet is to not only help guide the adventurous homeowner to determine if growing cranberry vines is a reasonable activity to undertake, but also to provide horticultural and pest management advice such that the cranberry planting will be productive for many years to come. Why do you want to grow cranberries? The first decision is to determine if you actually want your vines to produce fruit or if you just want to use the vines as a perennial ground cover. Your approach to management will be different depending on your decision. In general, managing cranberry vines for fruit will require more time and energy on your part than the ground cover option. You will likely need a fairly large area to make it worthwhile. You will want to monitor for pest problems. You will need to manage the vines to prevent winter injury. You will need to protect in the spring against frost damage. You will need to make sure you have pollinators that will work the blossoms. How big is the space where you want to plant cranberries? This decision goes hand-in-hand with your end-intent for the vines. If you want to plant ground cover, you can be successful with a small area. If you want fruit, how much would you like to harvest? A general guideline would be to expect about 1 lb of fruit for every 4 ft2 of vines. This assumes good colonization of the ground, an upright density of about 400-600 uprights/ft2 (varies with variety) and good pollination of the flowers. If any of these factors are compromised, you may need a larger area to produce the fruit you expect. If you are planning something on a bigger scale (10,000 ft2 or more), you will want to think about installing an irrigation system. Is the soil ready to support cranberry growth? Cranberries are in the same family as blueberries, azaleas, and rhododendrons (Ericaceae). They are acid-loving plants. Cranberry vines grow best if the soil pH is less than 5. They can grow well in different soils, but the soil needs to be well-drained. Contrary to many people’s impression about cranberry vines, they do not like to have their “feet wet”. Before you undertake a project of growing cranberry vines, get the soil tested for pH and make sure the soil does not puddle. Will I need to do any special preparation prior to planting? This will depend on the soil test. If the pH is too high, you will need to add sulfur to acidify the soil. Keep in mind that you may need to add this annually (depends on how far above pH 5 the soil is). You may need to do a soil test every few years just to make sure your soil stays in the right range. Soil tests are inexpensive and easy to do. See UMass Soil Testing Laboratory . If your soil does not drain well, you will need to incorporate materials such as sand that will help with drainage. If your soil has a lot of silt and clay in it, and you are not inclined to commit time, energy, and money to amend the soil, cranberry vines may not be your best choice for ground cover. If the water that will be used for watering is alkaline, it may be a very tough assignment for you to successfully grow cranberries. The alkaline water will constantly bring the pH back into the basic range (above what cranberries like). If you think your water may be alkaline, it is worth finding out for sure before planting vines. Do you live in an area with enough cold weather that will permit the cranberry vines to go dormant in order to “reset their clocks”? Cranberry vines need to experience a certain amount of cool temperatures during the winter to satisfy their chilling requirement. They do not need freezing temperatures but they do need about 3 months (very approximate) of temperatures that consistently fall in the 32-45°F range. If you live in a mountainous area of a warm state, you may have enough cold weather to satisfy the chilling requirement. Some homeowners may be residing in areas that are just too warm to support decent cranberry growth, flower, or fruit production. If you plan to manage your plants to be fruit producers, you must protect them from winter injury. Although cranberry vines need some cold weather to complete their life cycle, harsh conditions can injure the vines and cause leaf drop in the spring. To protect from winter injury (at least 3 consecutive days of frozen soils, freezing temperatures and drying winds), you must prevent dehydration (water loss) of the plants. You can do this by flooding them or by covering them with mulch, such as pine boughs. In higher snowfall areas, snow cover may serve this purpose. If you want to flood the vines (this approach would only be recommended if you are planting a fairly large area), you must be able to contain the water. You can erect containment boxes or a single frame with wood (or other suitable materials) or you can make ditches around the planting as is done on commercial farms. If you plan to manage your plants as a ground cover, you would still do well to protect them from winter injury. As mentioned above, vines can suffer injury under certain conditions. If you are planting a small area, using mulch should provide enough winter protection to avoid leaf drop in the spring. Some pest management may be necessary, especially if you are trying to produce fruit. 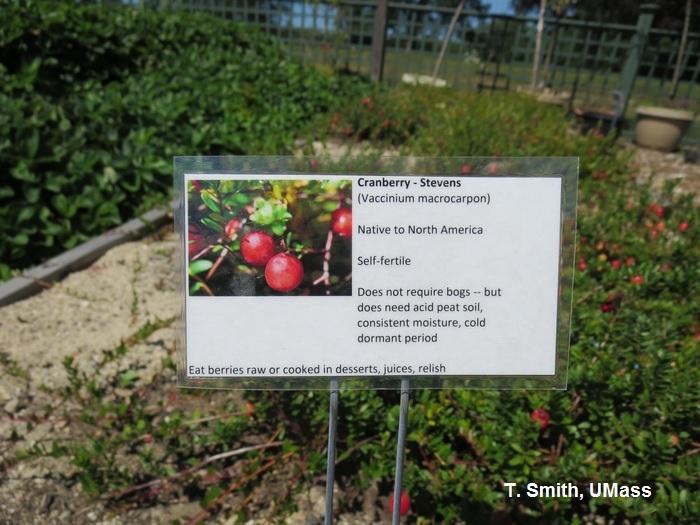 Many pests can reduce the yield of cranberry. Direct fruit pests, such as cranberry fruitworm, Sparganothis fruitworm, cranberry weevil, and fungal pathogens that cause fruit rot, can be problematic. You will need to familiarize yourself with potential pests that may be in your area and monitor your planting for damage. If you are growing vines in a nontraditional cranberry growing area, you may not experience a lot of pest pressure but you should certainly be on the look-out, especially in the first few years. It is quite possible that an entirely new pest or pathogen make attack the cranberry vines and/or fruit in such non-traditional areas. I have decided my soil is ok, the growing conditions are suitable, and I have the beginnings of a plan. Where do I go from here? Where do I get cranberry plants? Depending on where you live, this may be a bit of a challenge. Check with your local nursery to see if they can get plants for you. If you live in a cranberry growing region (e.g., WI, MA, NJ, WA, OR), you may be able to get cuttings locally. Check with your Extension office to see if they know of any growers who may have extra cuttings. Keep in mind these will likely be unrooted cuttings and will increase your workload and commitment to your project. It may be worth it to have rooted cuttings shipped to you directly, even if it costs a bit more up front. Starting with rooted cuttings will greatly improve your chance of success, especially for small areas. Starting cranberry vines from seeds is an exercise in extreme patience and is not recommended. 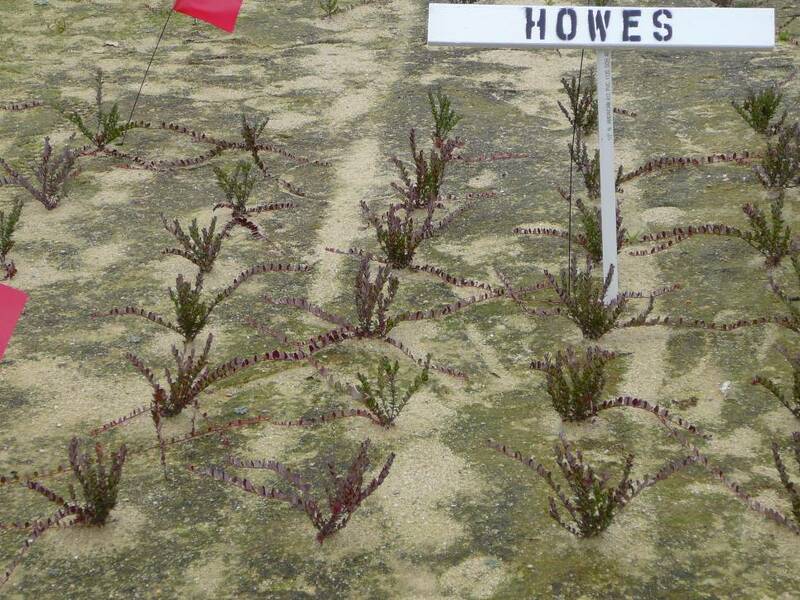 Most cranberry varieties have very small leaves (relative to other plants), though some varieties (e.g., Stevens) have slightly larger leaves relative to others (e.g., Howes). If you are growing for a ground cover, variety is probably not so important to you. If you are planting for fruit production, variety selection is more important. Native varieties (e.g., Early Black, Howes for MA) have smaller fruit than hybrids (e.g., Stevens, Crimson Queen). Most people associate (have memories of) fresh cranberry fruit produced from the smaller fruited varieties like Howes or Early Black. Some varieties color earlier in the year and may have more crimson or maroon color than others. All cranberry varieties make great jam, sauce, and muffins! For more information on variety descriptions, see the relevant chapter in the CP-08 publication listed at the end of the fact sheet. How many cuttings do I need? When buying rooted cuttings, plan to plant one rooted cutting per square foot (see photo at top of fact sheet). You can plant more densely, but this will increase your costs. At the square foot density, the plants should fill in nicely in 1 to 2 years. 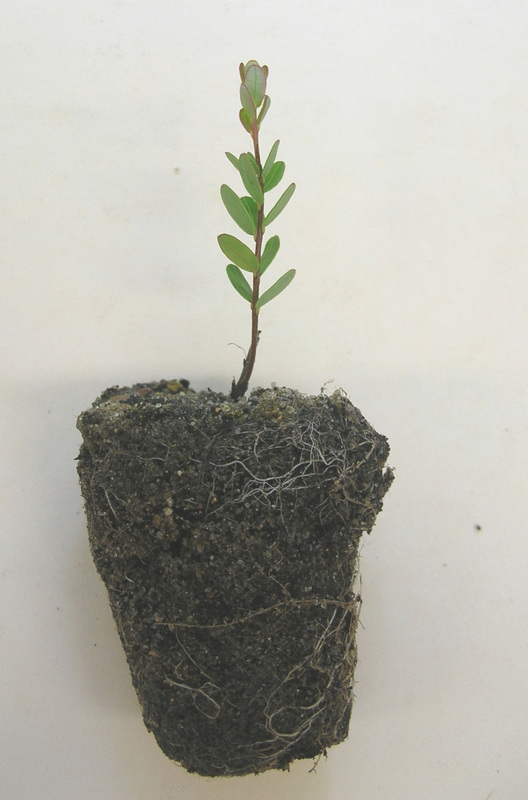 Rooted cuttings are typically propagated in pots that are about 1-inch diameter. If the plants come in a larger pot with multiple plants, you should carefully break them apart into smaller groups before planting. Cranberry roots are quite tender, so be gentle. There is no need to put fertilizer in the planting hole if the roots are ample (see photos above). As with any perennial, planting is best done when the stress from the climate is less. The actual month will vary depending on where you live. In Massachusetts, May is a good month to plant. Nights are cool, but not cold enough to cause damage to tender plants, and days are usually warm enough to permit some root growth prior to summer temperatures. Try to plant before the weather gets hot; hot temperatures make the watering and establishment activities that much harder. How do I care for the newly planted cuttings? Water daily, but not excessively, for 1-2 weeks until the plants are established (showing some new growth) then lengthen the interval to every few days as needed. Cranberries need fresh water; they do not respond well and may be injured by exposure to or irrigation with brackish or saline water. Fertilize every 3-4 weeks (especially in the first year), applying about 5-10 lb/acre rate of nitrogen each time you fertilize. For small areas, consider using applications of osmocote (slow-release) and follow-up with periodic liquid-feeding with Miracid. You should see 6-12” of new runner growth by mid-summer (if you planted late spring). Expect less vine growth if you plant during the summer. Once the vines have covered the area well (Year 2 or 3), you can cut back on fertilizer use (aim for 25-40 lb nitrogen/A per year once the vines have grown in). Hand-weed as needed to encourage cranberry vine growth. When might I see fruit? You will likely get flowers and probably a few fruit in the year after planting and should definitely see some fruit in the second year (even if your intent is for vine growth as ground cover only). Fruit production will depend on the number of pollinators that visit the blossoms and cross pollinate the flowers. If you have your own honeybee hives nearby or there are good populations of native pollinators, fruit production will be higher than you would normally expect in a non-commercial setting. Over time, vine growth can sometimes get very dense or the vines may get “leggy”. As with other perennial plants, cranberry vines may need pruning every so often. Small areas can be pruned with a knife rake (see photo at top) or by hand. Aim to keep the canopy open such that air can move through. Those who are trying to produce fruit should definitely work to keep the canopy open. This helps light penetration, which helps the fruit to develop and color. An abundance of nitrogen favors vegetative growth. Thus, use high-end amounts of nitrogen each year if your goal is to solely maintain a ground cover; use lower amounts if you are trying to produce fruit. Averill, A. L. and M. M. Sylvia. 1998. Cranberry Insects of the Northeast. East Wareham, MA: UMass Amherst Cranberry Sta. Ext. Publ. 112 p.
Cranberry Chart Book-Management Guide for Massachusetts. Updated annually. http://scholarworks.umass.edu/cranchart/ . See the nutrition section for current soil recommendations. DeMoranville, C.J., H.A. Sandler, and F.L. Caruso. 2001. Planting new cranberry beds. http://scholarworks.umass.edu/cranberry_factsheets/10/ . Sandler, H. A. and C. J. DeMoranville. 2008. Cranberry production: A guide for Massachusetts. East Wareham, MA: Univ. Massachusetts Ext. Publ. CP-08. 198 p. Available by request from UMass Cranberry Station, $20 + shipping.